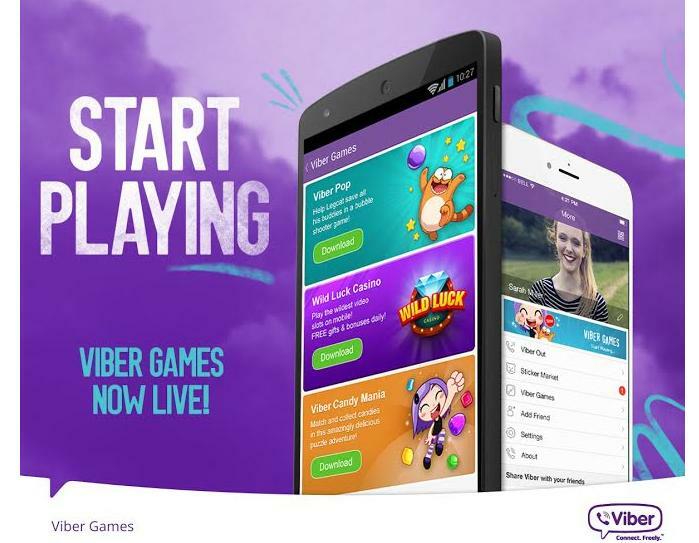 Popular messaging app Viber yesterday introduced three new games into their app as part of their platform expansion – Viber Games. Malaysia and Singapore are among two of the five countries to be the first to play these games through Viber, including Belarus, Israel, and Ukraine. The rest of the world, on the other hand, will only get access come January next year. It’s not surprising that Viber is finally joining the LINE, WeChat, and Kakao Talk family of using their messaging apps as a platform to play social games with friends. Even less surprising with the added knowledge that Viber was acquired by Rakuten earlier this year with the CEO and Chairman, Hiroshi Mikitani stating in the Wall Street Journal, that “Viber has tremendous potential as a gaming platform”. There will be three games to start with, Viber Candy Mania, Viber Pop and Wild Luck Casino. Viber games will feature familiar characters from the Viber’s sticker market and to be honest, they look adorable. While I personally don’t use Viber, what with LINE, WeChat, Facebook Messenger, Hangouts, and Whatsapp already available on my phone, this might actually prompt me to download another messaging app just get a go at the games. A quick check on the Google Play Store showed me that the games are available without the messaging app too, but without the app, I will be playing all by my lonesome. “This major expansion of our platform gives people another completely new way to connect with Viber,” says Viber CEO Talmon Marco. The game allows users to send game invites via Viber and see what games their friends are currently playing. Users will sign in via their VIber ID to connect with their friends and contacts on Viber, send them gifts and brag about their achievements, much like the games that connect via Facebook. 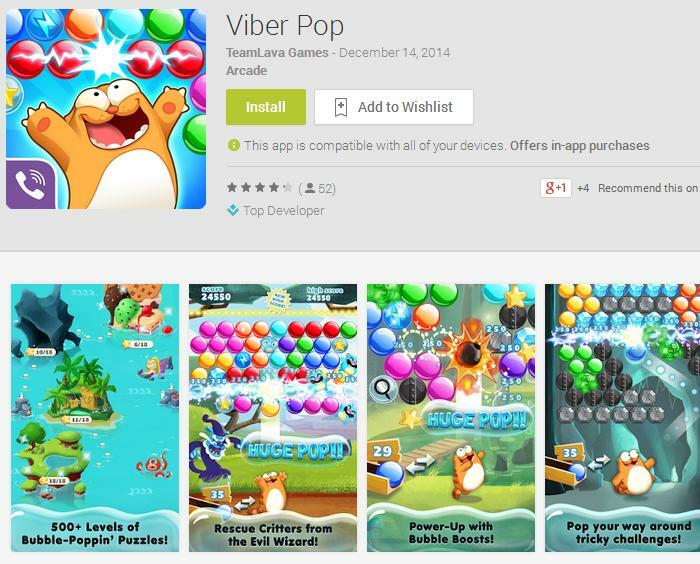 Both Viber Candy Mania and Viber Pop are casual puzzle games. Viber Pop by Storm 8 is a bubble puzzle adventure game, where you throw bubbles and match colors to pop them. 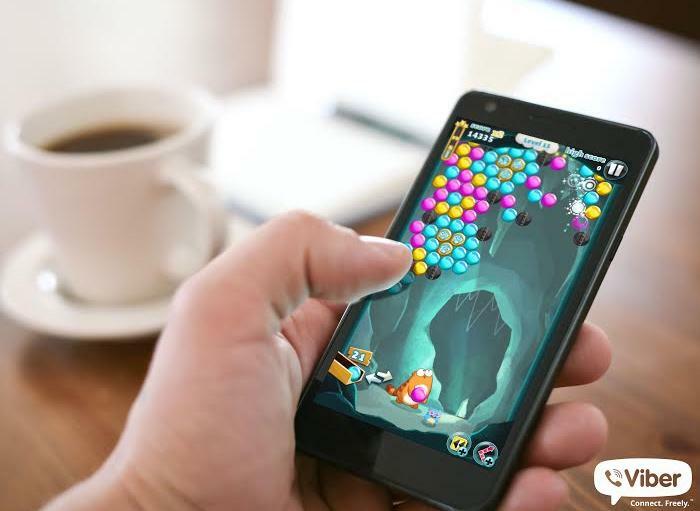 Viber Candy Mania, again by Storm 8, is a matching puzzle adventure game that runs somewhat like the crazy popular Candy Crush game. Meanwhile, Wild Luck Casino will be more attractive to the casual gamblers amongst you. It’s a casino slot game that doesn’t require any thinking, really. According to an interview with TechCrunch, founder Talmon Marco said that they will ensure the gaming platform does not get in the way with the messaging experience, which means that the notifications will not be annoying the users every other hour or disrupting your conversations with friends. He also added that they don’t plan on releasing hundreds of games, but will focus on a few to start with. “If you don’t want to play games, Viber will stay exactly how it is for you… but the games are a lot of fun,” Marco said. Viber is available for all sorts of platforms, including iOS, Android, Blackberry, Windows, and desktop, while the games are only available for iOS and Android platforms for now. If the app doesn’t automatically update, you may need to update it manually to get access to the games.